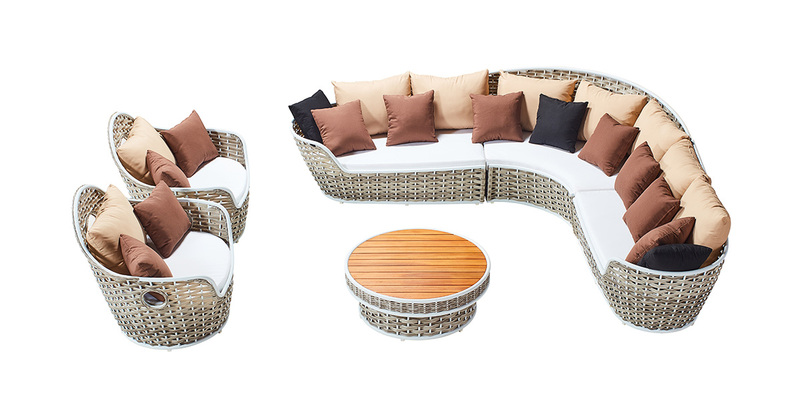 The overall forms are reminiscent of the great China spacecraft while also creating comfortable outdoor living structures. Emphasis and exposure of the internal aluminium structure provides a sense of security to the user, it also creates a distinctive visual aesthetic. Heavy duty aluminum frames provide a strong and secure structure. 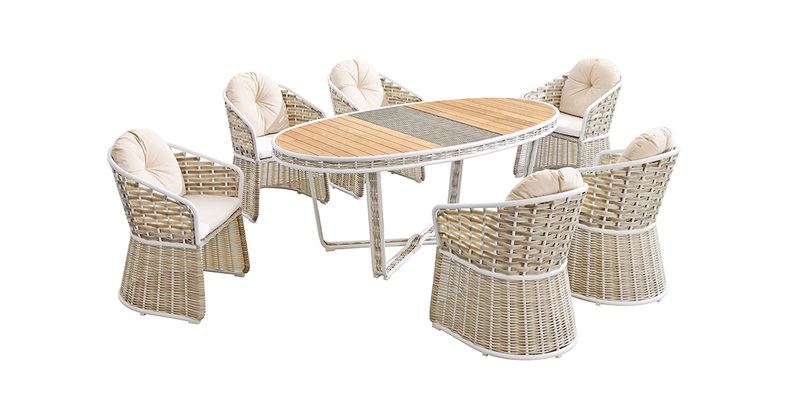 High quality woven wicker provides a strong solid structure and allows the users to trust fully in the end product Ability to be stacked into complete units allows an attractive structure when not in use and makes the pieces efficient for storage. 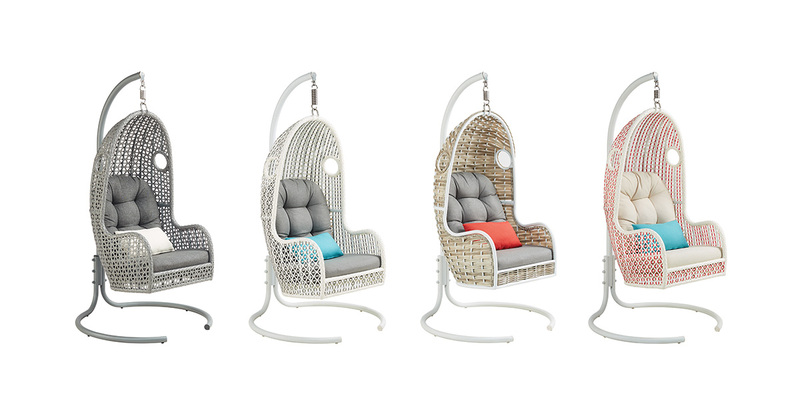 The collection offers a full suite to satisfy every outdoor relaxation requirement, form sleeping to eating to swinging. 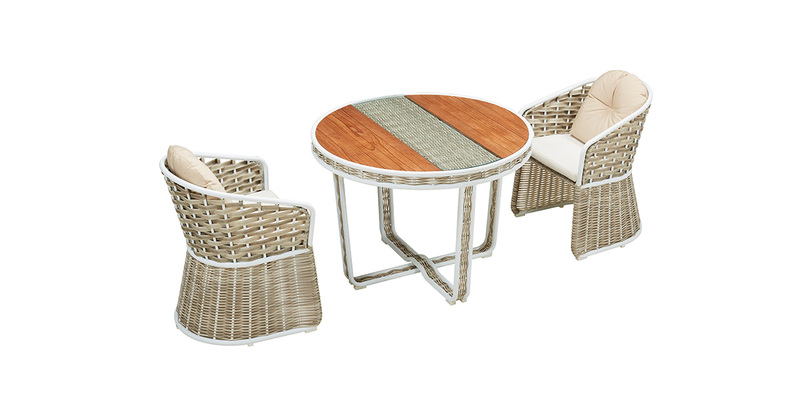 The user is fully equipped to fully enhance and enjoy their outdoor living environments to the fullest. The unit can be used as a single enclosed day bed or the units can be separated to create two open sofas with a separate coffee table and small lounger. The complete unit has the ability to be stacked for efficient transportation purposes and also to maintain space and create unique structures when the pieces are not in use. The inspiration of Shenzhou X comes from Shenzhou X spacecraft and its re-entry module. 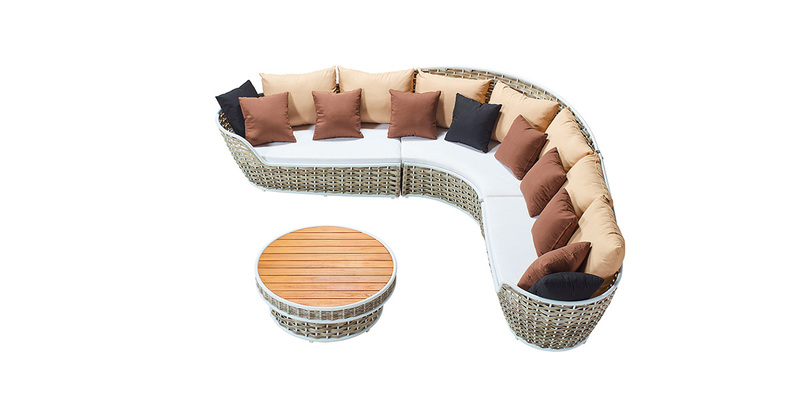 The design combines the idea of wide light brown wicker and exposed white coating color, which makes the frame clean and simple. Floating across the clouds, Shenzhou X is more like a sacred auto and lead people to a future outdoor lifestyle. Hung from ceiling, seen to be taking off into the sky, the openness and freedom naturally generates a different kind of beauty. The unique design of Shenzhou X allows numerous configuration setups, in storage and in use. It is designed to be easily assembled and set up. 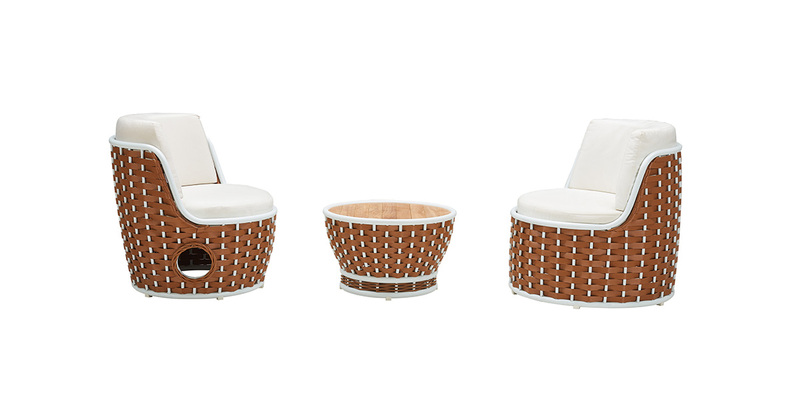 The design has a special locking feature to hold the pieces securely together when in the stacked configuration. 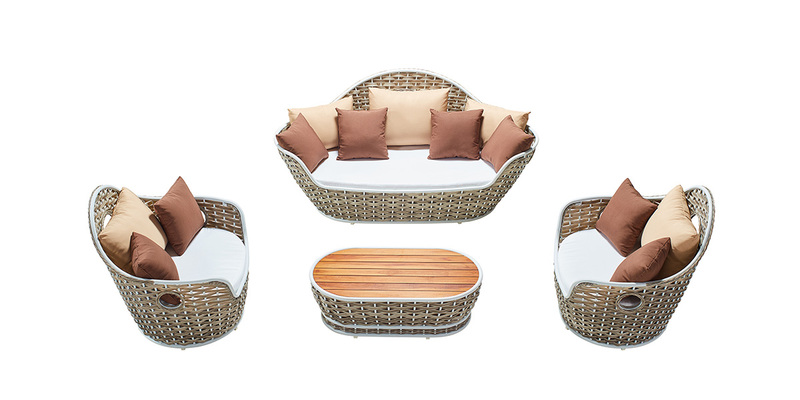 Top quality wicker, teakwood and fabrics withhold the ability to withstand outdoor conditions. When assembled, on the top you can find the coffee table and next to the coffee table is the upper weaving cover which can become a separate daybed by combining with the footstool. This completely demonstrates the idea of space-enviromental protection. It runs over with warmness and sweetness when the sunshine goes accross the wickers.